Can somebody tell me what it is about cheese that suddenly transforms broccoli from a cruciferous green vegetable into an edible treat that kids can't get enough of? 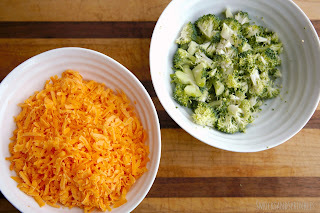 As a child, I dreamed of having Cheez-Wiz smothered florets of broccoli, and my kids are apparently no different (seriously, what was I thinking, though...Cheez-Wiz?!). 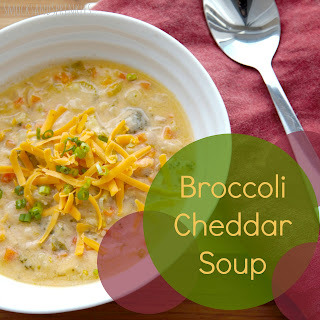 They love broccoli and cheese, especially in soup form! 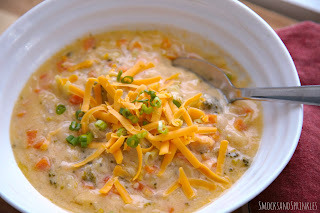 This recipe for cheddar broccoli soup is a hit at our house for taste, but also for preparation and cleanup. All you need is one pot and the ingredients! 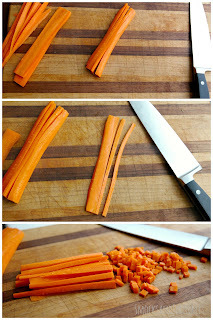 Serve some bread or crackers on the side for dipping, and you'll be able to get tons of veggies into your kids. I'll be listing exact measurements here, but I encourage you to tweak it to your own tastes. Toss in some more broccoli, use cream because it makes everything taste so ridiculously delicious, toss in a mix of cheeses...you get the idea! This basic method of frying onions in butter and then adding flour to make a roux works really well as a base for any cream-based soup, and then you can Jamie Oliver it by tossing in deliciously fresh ingredients in a seemingly haphazard manner. I forgot the onion. Please pretend there's onion in this photo. Tip! 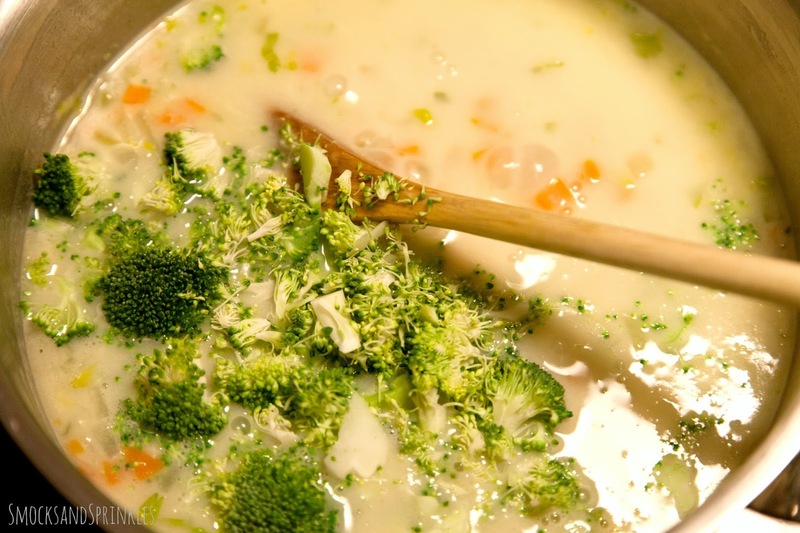 Substitute cauliflower for the broccoli, and you've got a delicious cauliflower soup. 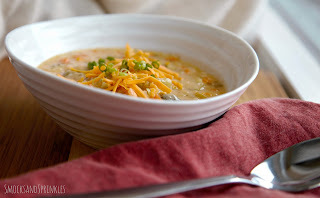 I love this recipe from the Pioneer Woman for cauliflower soup! Prep all your veggies (dice the onions, carrots and celery, and chop your broccoli). Slice the carrot, and then cut it into thin strips to get a small dice. 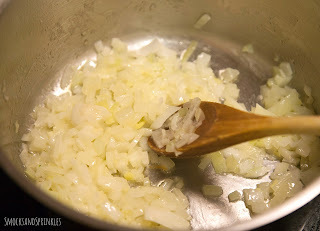 Add onions and cook until they turn translucent, about 5 minutes. Using a wooden spoon, mix in flour until it's all incorporated. 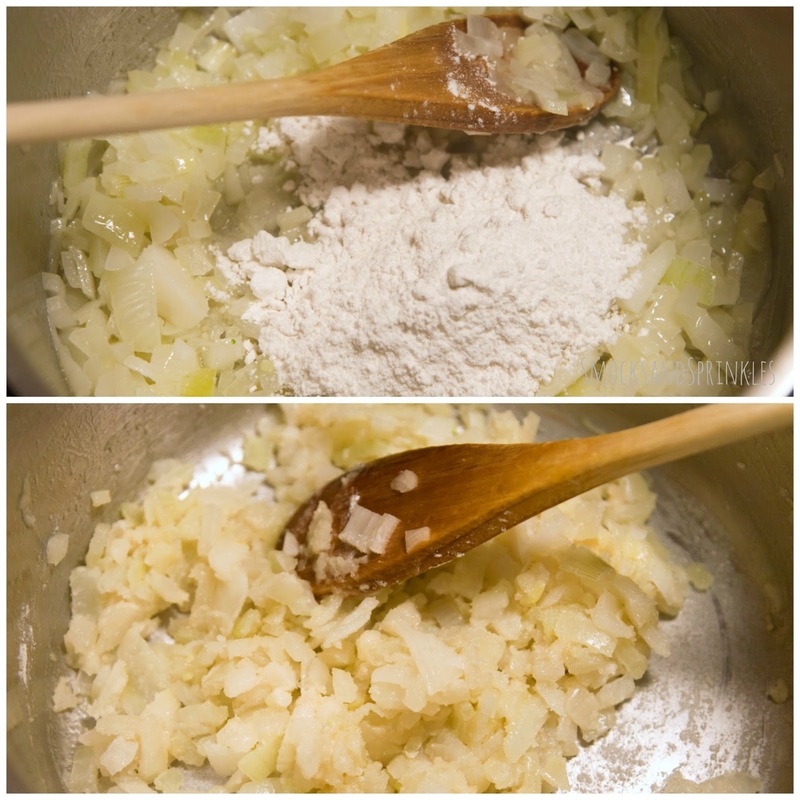 Mix it for a minute or two to make sure all the flour is cooked and golden. 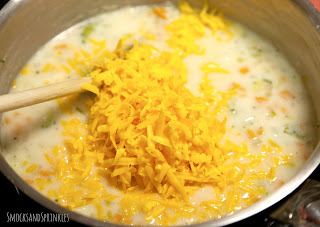 Gradually incorporate milk, about 1/2 cup at a time. Mix until each batch is incorporated and the mixture is smooth. It will form a lump at the beginning, and then start to smooth out into a thick liquid. 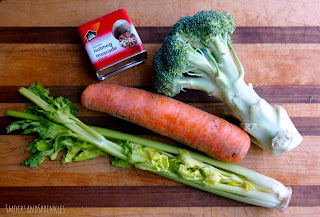 Add stock, turn heat up to medium-high and add the rest of the veggies, bay leaves and nutmeg. Bring the soup to a boil. 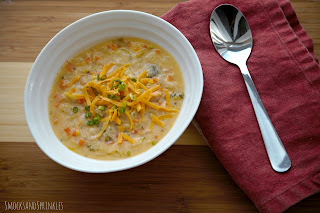 Turn the heat down to low and allow the soup to simmer for 15-20 minutes. Discard bay leaves and add in cheese. Tip! Try not to boil the soup too much after you've added the dairy, as it can curdle and make your soup grainy. 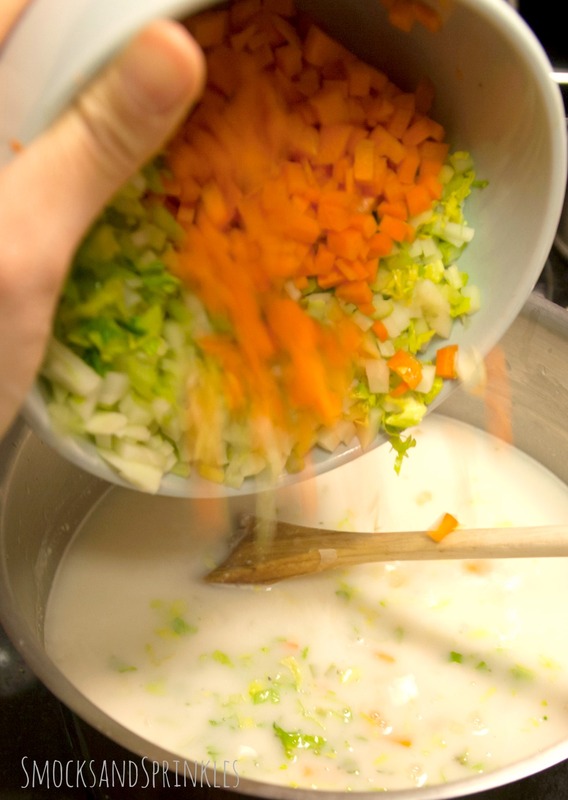 Stir until melted, and feel free to add in more stock or water to adjust the thickness of the soup to your liking. Spoon this magical soup into bowls (or hollow out some sourdough and make bread bowls if you're feeling fancy!) and serve with some crusty bread! Tip! If your kids are repulsed by the mere sight of a vegetable, consider blending the soup using a hand blender to hide the veggies. I love it when I find a recipe that everyone in the family enjoys, and this is one of them. Make a batch on a cold day and enjoy it from the warmth of your cozy house! If you try this recipe, let us know down below, or share it with us on Instagram (@smocksandsprinkles).